Since 1974, Jazlowiecki & Jazlowiecki has been protecting the rights of the severely injured. We are strongly committed to serving as a plaintiff litigation firm and helping individuals obtain justice and compensation through the legal system. We understand the perils and pitfalls of trying to deal with liable parties that have caused injury and with insurance companies. Our recommendation would be: Don’t Do It Alone. Our experienced litigation attorneys can guide you through this complicated process and help you achieve your desired result. Jazlowiecki & Jazlowiecki is a small but sophisticated boutique law firm that zealously represents the client’s interests no matter the size of the claim. Headquartered in Bristol, Connecticut, we have represented clients from all over the country in high-profile cases including victims of the Shooting Massacre at Virgina Tech. We have achieved multiple Multi-Million dollar settlements for victims of Mass Transportation accidents in both the United States and Canada. We have started Class Action lawsuits against prominent Drug Companies who irresponsibly produce and sell defective and dangerous drugs. We also represent plaintiffs that have been seriously injured in a simple two-car motor vehicle accident on the traffic-filled roads of Connecticut. For over 40 years, regardless of the case, Jazlowiecki & Jazlowiecki has a proven track-record and a deserved reputation of aggressively fighting for its clients. We believe in a Contingent Fee arrangement for most cases, that states that the Firm only receives a fee when the Client wins their case. Accordingly, all initial evaluations and consultations with our Attorneys are completely Free. At Jazlowiecki & Jazlowiecki, your case will be handled directly by an experienced and bar-admitted attorney. From the initial intake through the final disposition (settlement or trial), one of our talented litigation attorneys will be your advocate, every single step of the way. Jazlowiecki & Jazlowiecki, has not, nor will ever, represent an insurance company. We are committed to protecting the rights of the Individual against Corporations, Insurance Companies and liable parties. *Please note that any information on this website should not be construed as, nor is it intended to be, actual legal advice. 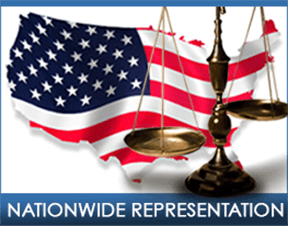 If you have a legal question or would like to see if you have a case, please contact one of our attorneys directly. All initial evaluations and consultations are 100% Free. An attorney-client relationship is only formed once you (the client) have formally retained the services of our Law Firm in writing.